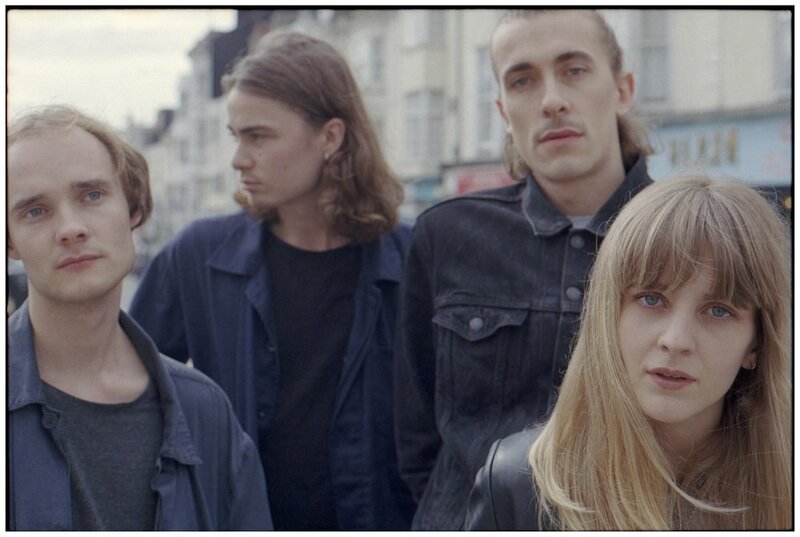 A name that has been consistently popping up in ‘Ones To Watch’ lists recently, has been the Brighton quartet, Thyla. 2018 was a year that saw the release of numerous catchy songs and allowed the band to be on a circuit of voracious live performance. After much anticipation, Thyla’s debut EP is ready. ‘What’s On Your Mind’ opens with a glossy space-age instrumental that develops into an explosive moment of catharsis. Guitars pour out glittery noise all around you, while the drums – packed full of reverb – scatter light all over the scene. ‘Only Ever’ is summed up in one of the opening sentences; ‘I only ever want to dream’. What Thyla does best, is write songs that are full of hazy resonance and reverie, which is on full display in the laidback acoustic vibes of ‘Better Me’ that touches over Thyla’s favourite lyrical subject of sleeping and wakefulness. Previous singles such as ‘Blue’ with its thumping bass line that makes you want to dance, and ‘Candy’ are welcome familiars on the EP; the latter being a particular highlight with its multifaceted, intricate guitar melodies and vocals that almost scream, in intense repetition. This is an EP with many layers. Beneath the catchy choruses lie numerous genres from Shoegaze, Techno and Pop. Giving us hints of Grunge and Alternative Rock is ‘Bitter’, which is heavily led by male vocals. There’s an air of paranoia that comes from the heavier, distorted grunge sound and it is something that Thyla have explored with, in the past.